A lot of people way back believed that the brain is not functioning during sleep. In fact, the brain is totally functioning during sleep. And brain function during sleep is very important and essential in everyone’s wellbeing. Sleep is very important to help in letting people function at their best all throughout the day. Any disruption to the normal sleep cycle can increase the risk of developing sleep disorders or circadian rhythm sleep disorder. 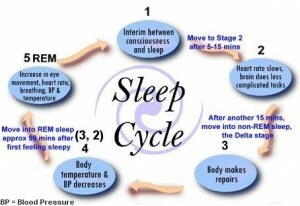 There are 5 stages in a sleep cycle. And in each stage of sleep, there are certain and definite brain motions, wave patterns, and levels of consciousness. As the name suggests, stage one is the first stage of the sleep cycle. 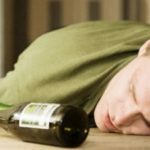 During stage one of the sleep cycle, this is the stage that is also referred as the near-wakefulness stage. This stage of the sleep cycle happens just right after a person falls asleep. During this stage, muscles of the body relaxes, heart rate decreases, and so as the respiratory rate. People who are in Stage One of sleep are easily startled and are easy to wake up. Stage Two of the sleep cycle happens 10 minutes after stage one of the sleep cycle. Stage two is a deeper sleep but is still not considered as a deep sleep. 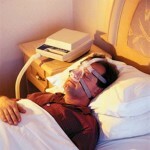 During stage two of sleep, eye movements will stop and the brain wave patters will follow a wave-like pattern. During this stage, the body temperature will slightly decrease together with a decreased heart rate. Both Stage Three and Stage Four of the sleep cycle are considered to be an actual deep sleep. Both stages are hard to be distinguished from each other, since their differences are not obvious and are too faint. However, stage four of the sleep cycle is more advanced and deeper than stage three, but both stage three and stage four of the sleep cycle are characterized by slow activities in the brain and there are no muscle movement associated. People who are in stage three and stage four of the sleep cycle are difficult to wake up. Rapid eye movement sleep or REM is the 5th and last stage of the sleep cycle. In REM, the brain activity is the same with the brain activity of an awake person. During the REM stage, dreams usually occur. This stage is called the rapid eye movement because the eyes are rapidly moving behind the eyelids. 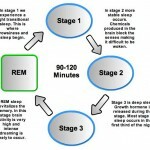 Dreams during the REM stage are usually remembered by the person when he or she wakes up. REM stage of sleep can occur several times in one night, and the first REM usually occurs about 90 minutes after falling asleep.